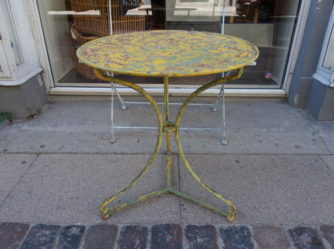 Dive into Fil de Fer’s exciting selection of exclusive and charming antique tables. 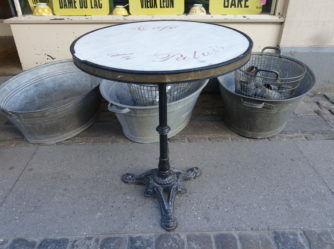 All are carefully chosen by the boutique’s owners during their many trips to France. 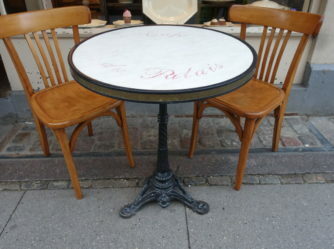 Every single one of the French vintage tables have a story to tell, and unavoidably take you back to France of another era. 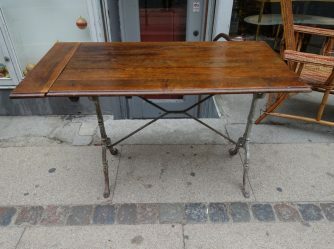 No matter whether you are on the lookout for an pretty bistro table, a coffee table made of industrial pallets, or a refectory table from a French convent, there is something to delight you here. 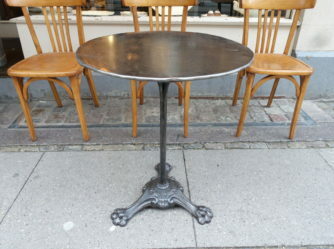 Fil de Fer houses a lavish selection of antique tables: From French vintage dining tables, evocative café tables, to completely unique drinks trolleys. In other words, there’s something for every taste, space and need. Take a look around our boutique in Copenhagen or online – you can be sure that you’ll find inspiration to your interior. Combining old with new is a super idea when decorating your home. That special ambiance can be created by adding that dimension of soul and history with a vintage dining table to new and modern kitchen. 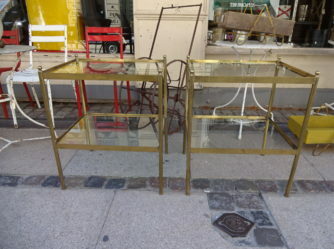 This addition of something unique and old is the icing on the cake adding that personal mix to your décor. 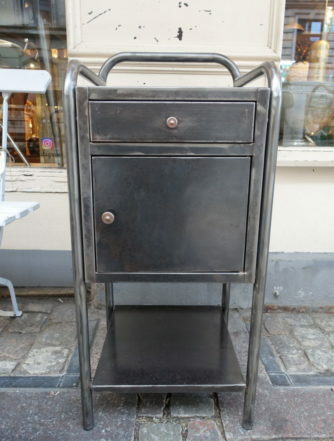 Need a drinks trolley or bar? 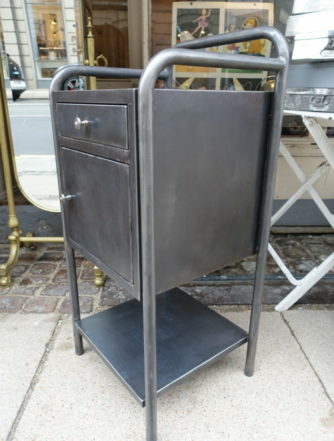 A fun touch to your interior design is to add a drinks trolley or bar table. This way you’re including a special ambiance and conversation piece with a story to tell. 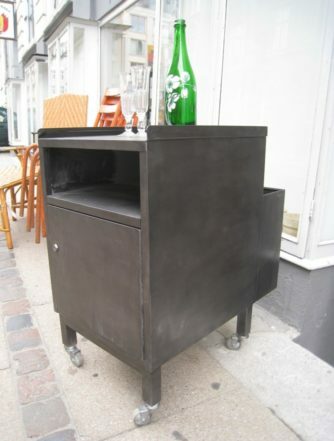 Fil de Fer happens to have a wide choice of these practical and popular drinks trolleys and bar tables, in several style combinations and designs. Something for any taste and requirement. 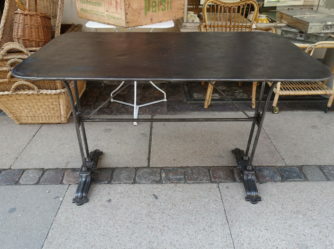 Choosing table legs for your table top can give an alternative look, especially when you’re looking at the more industrial style legs. Many of our table legs are shipped in from France, where their provenance has originally had been of a more trader / work related capacity. Taking them from their original function, and using them at home for a new one, adds a quirky and cool element to your home. 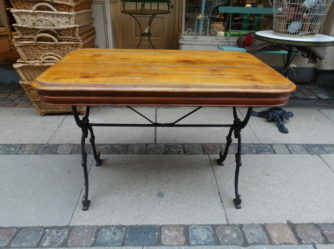 Vintage coffee tables shouldn’t just have one purpose – they have to look great in the centre of your living room. They should have a provenance. This is what Fil de Fer believes in any case! 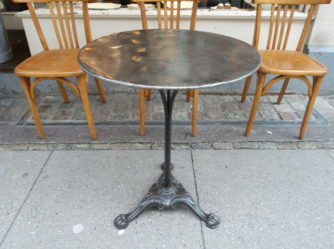 We have a wide range of mainly French vintage coffee tables. If you visit our boutique, you will see the range of sizes and styles we have. 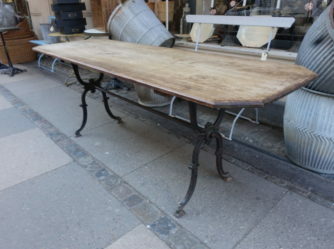 It would be a pleasure to help you find the one vintage coffee table which is right for you. 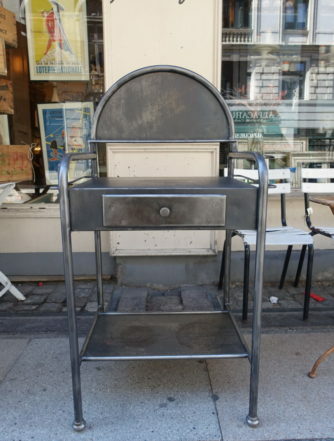 Why not start your treasure hunt here on our website? You’re guaranteed to find something which appeals to your taste. 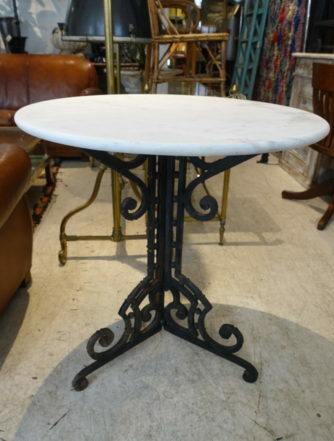 One thing which can truly create ambiance in a living room or on a terrace, is a classic French café table. There is something about them which stands out. 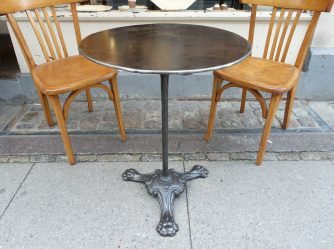 Perhaps because they are connected with the Parisian cultural scene, who so frequently enjoyed an animated conversation over a glass of wine or absinthe, sitting around these wonderful metal tables. 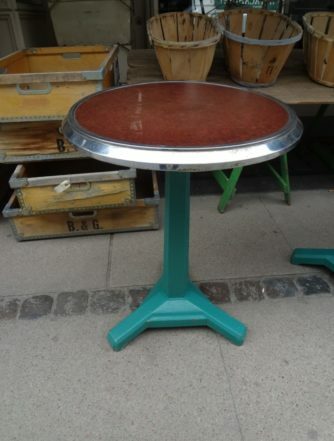 Whilst you can certainly buy a new café table at a home furnishing shop at less cost, there is a world of difference between them and the original café tables which you’ll find at Fil de Fer. 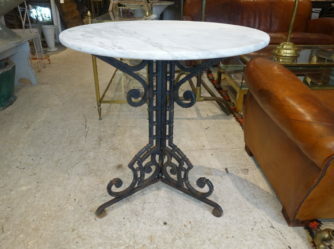 Fil de Fer has the absolute incomparable and best choice of beautiful antique tables. 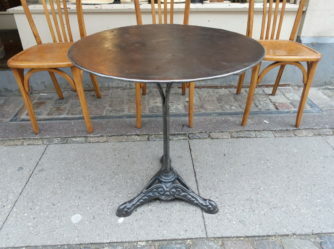 No matter whether you’re sourcing an antique dining table, a French café table, a unique drinks trolley, a spectacular bar table or a vintage coffee table with that perfect patina.